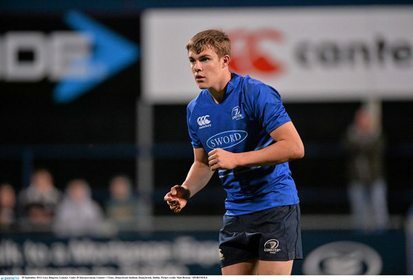 The Leinster Rugby Academy panel for 2015/16 has been confirmed, while seven Academy graduates have received professional contracts with the province for the coming season. Carlow brothers Bryan and Ed Byrne have both received professional contracts after making their senior debuts last season. Bryan made eight appearances for Leinster, scoring his first senior try away to Benetton Treviso in November 2014. Ed made four appearances for Leinster last season, though his run in the team was cut short due to an injury picked up in the home win over Edinburgh last October. Two other senior team debutants from last season have also been handed professional contracts. Dan Leavy, who featured in three games last season, and Josh van der Flier, who appeared in six senior games, will both be a part of the senior squad. UCD club man Gavin Thornbury has also received a senior contract for 2015/16. The second row forward started seven games for Leinster 'A' last season, five British & Irish Cup pool matches and the two friendly games against Munster 'A' and Connacht Eagles. Cathal Marsh, who played a key role in Leinster 'A' securing the British & Irish Cup in 2014 when he finished as the competition's top points scorer, will be a part of the senior squad next season. Lansdowne second row Tadhg Beirne has also been offered a short term professional contract. Beirne won a Senior Cup medal with Clongowes Wood College in 2010 and featured in the British & Irish Cup win in 2013 against Newcastle Falcons. New arrivals in the Leinster Academy for next season will be familiar to anyone that followed the progress of Ireland in the World Rugby Under-20 Championship last month as all six Academy recruits featured during the tournament. "It is great to be welcoming such a talented group of Year One recruits into the Academy for the new season. That each player was a part of the Ireland Under-20 set up during the World Rugby Championship shows that they are among the most promising young players in Ireland.